Arthritis Is On The Rise: How Can I Prevent Joint Pain? - Piedmont Physical Medicine & Rehabilitation, P.A. Arthritis Is On The Rise: How Can I Prevent Joint Pain? Arthritis is the inflammation of one or more joints. This can cause pain, swelling and tenderness. 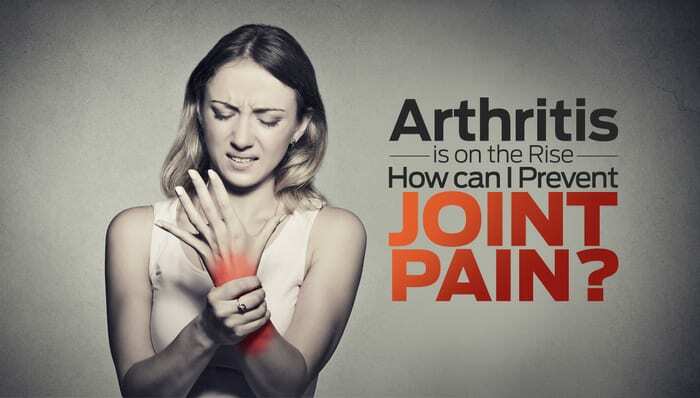 About 350 million people worldwide suffer from arthritis. About 40 million of those people are Americans. Of those affected, over half are women. Arthritis is commonly misconstrued as only affecting the aging or elderly. However, more than half of those with arthritis are under the age of 65. With these staggering numbers, you might be wondering how one can prevent this joint pain? Check out these helpful tips below. Excessive weight plays a large role in joint pain. When you loose weight through diet and exercise, you are able to not only relieve stress from your joints, but also increase muscle that supports your joints. The more you are moving, the less stiff your joints will be. If you are looking to get your heart rate elevated but want a low impact exercise option, try swimming, bicycling, rowing, and elliptical or even walking. These are best options for protecting your joints. In addition to these low impact exercises, you might want to try practices like yoga and Pilates. These both help strengthen your ab and back muscles, which ultimately help maintain balance and lessens your likelihood of injury by falling. Do you typically carry a heavy purse or backpack? Consider how you are lifting and carrying heavy items. Allow for larger muscles and joints such as your arms to carry these kinds of items. Take the pressure off smaller joints like fingers and wrists. As mentioned above, keeping joints locked in the same position for an extended period of time does not help with joint pain. A daily occurrence like talking on the phone can prove harmful over time. Try going hands free using the speaker or blue tooth features of your phone. These are just a few self-help tips you can to do help your joints. We also offer a wide array of treatment options for those ready to take more aggressive measures toward good health. Call us today at 1-864-235-1834 for an appointment to begin your journey toward pain-relief.